Hello everyone here, as I always do I welcome you guys once again to my little world that I always used to share my views about blockchain projects and startups. 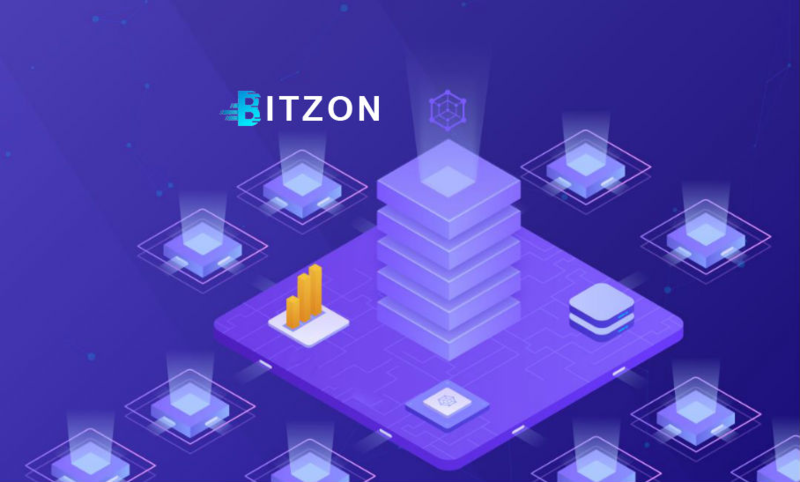 In this post, the project that I will be sharing with you guys is Bitzon and I will try all my possible best to summarily share what you guys ought to know about this project. There’s no time to waste, let’s ride on. But despite all this rapid growth, the field of e-Commerce still has a lot to learn and to understand that its application in life was just as safe, convenient and effective. However, e-Commerce has another side of the coin, which consists of those businessmen and entrepreneurs whose main task is to provide customers with their goods. It is about them that we are going to talk with you today, or rather about their problems and ways to solve them. there is poorly thought out marketing or it is not at all. All these little things in one way or another adversely affect the further growth and development of small businesses and entrepreneurs who would like to take advantage of all the benefits of modernity and develop their small business to a new level, but the lack of experience and the necessary tools knocks it out of the General rut of entrepreneurs. There is another way to which come a little larger entrepreneurs who have enough Finance to promote their products through the huge and popular platform, which brings together thousands of the same entrepreneurs from around the world. Such platforms look more presentable they already have some auxiliary functions that help the businessman to quickly set up the sale of his goods. On the platform there is a pleasant innovation, and technical support 24/7, and a large number of languages to which you can translate this platform, in General, everything you need. But as a rule, cooperation with such platforms costs very large fees and commissions for the entrepreneur, which naturally negatively affects his future income and revenue in General. Seeing such an acute problem in this direction, the team of specialists offered its solution to the above problems. To do this, they have developed a new platform that will allow all entrepreneurs from small to large to benefit and expand their business opportunities. In the context of global economic growth, e-commerce does not stand still and gradually occupies its niche in the international retail market, and also expands the number of buyers and sellers. The actual market return in 2018 amounted to $ 2.2 trillion and gained growth rates with an indicator of 20% annually. Every year the number of people who regularly make purchases online continues to grow. Buyers will be able to purchase what they need, anywhere in the world. The platform will host millions of unique, bespoke products, created by small manufacturers, which cannot be bought on any other online site. Any item can be purchased for cryptocurrency or BITZON tokens with a minimum commission. At the same time, payment for purchases in traditional fiat currencies also remains possible. Increased cashback when paying for purchases with BITZON tokens, as well as discounts for using cryptocurrencies. Simple and convenient search for the necessary goods. Bitzon offers users a wide range of products and fine-tune the selection using a variety of filters. Bitzon is a guarantor of the quality of goods purchased on its platform. The company assumes responsibility for providing high-quality services and ensures that the seller sends the goods to the buyer, which exactly corresponds to the description, photos, as well as the declared quality. YOU DON’T WANT TO MISS THIS AMAZING PROJECT. KEY INTO IT AND NEVER REGRET.